Plextor PlexWriter CD-RW optical drive. Internal IDE interface. IDE cable will be included. PLEXTOR PX-B940SA 12X BLU RAY WRITER DVD /- R&RW CDR & CDRW . I HAVE NOT TESTED THIS ITEM. I DO NOT KNOW IF IT WORKS. The item comes with box and instruction manual, but I DO NOT KNOW IF IT WORKS. ITEM IS BEING SOLD AS IS. PLEASE INSPECT PHOTOS AND KNOW THAT IF YOU PURCHASE, ITEM MAY NOT BE IN WORKING CONDITION. I do not accept returns. Thank you! Condition is Used. Shipped with USPS Priority Mail. Series S3G. Form Factor M.2 2280. Capacity 128GB. Device Type Internal Solid State Drive (SSD). Interface SATA III. We have since grown to be a large scale electronics recycling, asset recovery center. Included: Drive only (as pictured). Working Condition: New - Open Box. Model: PX-850SA. P/n 3C01110169. Plextor 128GB SSD Notebook Hard Drive System pull. Condition :System Pull. Although we do the best we can to verify compatibility,ALWAYS double check that you are purchasing the right part foryour machine. IDE Interface Drive. The item does not include original accessories. PLEXTOR PX-W4012TU Hi-Speed USB 2.0 CD-RW Drive 40-12-40. Excellent Condition. Includes Plextor power supply, USB cord, Plextor CD. Shipped with USPS Priority Mail. As our motto states, Quality and Price that cannot be duplicated. - Installed top grade OPU with a superior heat sink kit - This increases the burning stability (better quality), as well as enhances the drives sustainability and reliability. Plextor PlexWriter 8/20 "Internal 5.25". This is a Plextor PlexWrtier 8/20 internal CD burner, model PX-R820Ti. This uses a 50-pin internal SCSI interface. SCSI CD-R Disc Drive Burner. Ultraplex CD drive & EDI Essential interface. Lite-On CV3-8D128 M.2 mSATA 128G Solid State SSD. This drive is pulled from a new system and is cleared and tested. No one is EVER ignored! ALL PRODUCTS ARE MARKED WITH SERIAL NUMBER AND QC BADGE. Great clean no scratches with software user manual all cords. 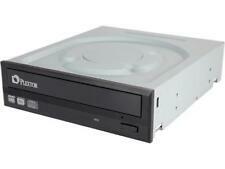 Plextor PX-63CS CD Rom Drive 50 Pin SCSI 6 PLEX. Caddy Not Included. PLEXTOR PX-83CS 8X SCSI 50 PIN. CADDY LOAD CD-ROM DRIVE - PX83CS. SCSI CABLE & CD CADDY ARE NOT INCLUDED, BARE DRIVE ONLY! Data Buffer 8MB. 16x: 22.160KB/s (CAV) 12x: 16.620KB/s (PCAV) 6-8x: 8.310-11.080KB/s (PCAV) 6x: 8.310KB/s (CLV) 4x: 5.540KB/s (CLV) 2.4x: 3.324KB/s (CLV)DVD R DL 4x: 5.540KB/s (CLV) 2.4x: 3.324KB/s (CLV). Good condition, works great with very light wear. Only includes power cord. Plextor made the top of the line CD / DVD writers for professional use. Included are the device, power adapter, AC cable and USB cable. This writer was made in 2006, but it has been sitting in storage for the past 12 years, without being used. Plextor PlexWriter 16/10/40A PX-W1610TA IDE CD-RW Drive. Condition is Used. Shipped with USPS Priority Mail. Plextor PX-891SAF DVD CD Burner - Black. As our motto states, Quality and Price that cannot be duplicated. DVD RW: 8X Maximum DVD-RW: 6X Maximum. Buffer Size: 512 KB. Interface: SATA. Interface: SATA (Serial ATA). Plextor PX-63CS 6X SCSI 50 PIN. CADDY LOAD CD-ROM Drive - PX-63CSi / PX63CS. Interface SCSI. Spin Rate 6x. Caddy not included. 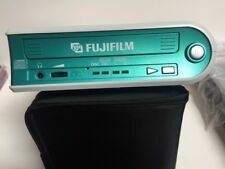 Formats Supported CD-XA, CD-DA, CD-I, CD-ROM (Mode 1 & Mode 2), Photo-CD, Video CD. Plextor PlexWriter 12/10/32A. PX-W1210TA CD-RW Optical Drive. Won't find a better example! PLEXTOR PX-32CSi 32X SCSI 50 PIN. Caddy Load Internal 5.25" CD-ROM Drive - 127-1815-30 / PX32CSi /127181530. Manufacturer: Plextor. Read Speed: 32X. Interface: SCSI 50-Pin. Caddy not included. Type: CD-ROM Drive. A ccording to the box t his will play almost any cd format (NTSC-U/C), see photo. Serial number on the box matches the unit. Plextor PlexWriter 12/10/32A PX-W1210TA IDE CD-RW Drive, Tested. Condition is Used. 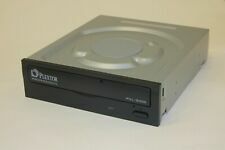 You are bidding on 1 Plextor PlexWriter 12/10/32A PX-W1210TA IDE CD-RW Drive. It has been tested and seems to work fine. Message me with any questions. HDD: 800 MB - 1 GB free space for copying CD to CD image. Software Disc. Monitor Display Resolution: 1024 X 768 at 16-bit color. RAM: 128 MB. CPU: Pentium III 500 MHz or equivalent (minimum). Horizontal or vertical mounting orientation. Plextor PX-64M6M 64GB SSD mSATA. Plextor PX-891SAF-PLUS DVD CD Burner - Black. As our motto states, Quality and Price that cannot be duplicated. - Installed top grade OPU with a superior heat sink kit - This increases the burning stability (better quality), as well as enhances the drives sustainability and reliability. For Sale is one Plextor PX-32TSi internal SCSI CD-RW drive. It is in excellent condition and removed from a working system. 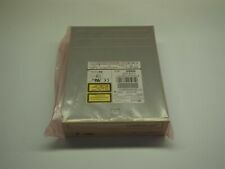 PLEXTOR PREMIUM CD - RW DRIVE / Serial # 505384016308. MADE IN JAPAN. This unit was last used several years ago. The last i know it worked. The item you see is the actual item that you will receive. ARAREEZCLONE EXTERNAL CD DUPLICATOR. Elvis may be the king of rock and roll ,but your. TESTED works GREAT. i love my SNES! PERFECT REAL HONEST NICE GUY! I'LL BE BACK! Excellent communication. Very happy!A . As our motto states, Quality and Price that cannot be duplicated. DVD RW: 8X Maximum DVD-RW: 6X Maximum. Interface: SATA. Interface: SATA (Serial ATA). Drives Last Longer DVD-RAM: 12X Maximum DVD-ROM: 16X Maximum. RAM= 256MB. CPU: Pentium 4 1.6 GHz or equivalent (minimum). Buffer: 2MB. DVD formats supported: DVD-ROM, DVD-Video, Multi-border, Multi-session. CD formats supported: CD-DA, CD-Extra, CD-ROM Mode-1, CD-ROM Mode-2, CD-ROM XA, Photo-CD, Video-CD, CD Text, CD-1(FMV).